We hope you and your loved ones are doing well this holiday season. Since our last email newsletter, we've celebrated our 29th birthday and revamped our web site. What an incredible journey we've had over the decades! A big part of this was our commitment to Microsoft Access when I saw its introduction at Comdex in 1992 (history). It's hard to remember what the PC world was like back then. If you want a throwback, check out this news video clip debut of Access with a much younger Bill Gates. We are delighted to announce the availability of several of our products to support the new Microsoft Access 2016 and older versions. This includes the release of Total Access Detective for Access 2016 and 2013, Total Access Analyzer 2016, and Total Access Speller 2016. More information on their enhancements are discussed below. Unrelated to Access, in mid-November, I had the honor of speaking at a UN Conference in Vienna, Austria. It was a meeting discussing the civilian response to counter-terrorism and violent extremists. Our data analysis and visualization product, Sentinel Visualizer, addresses some of the challenges organizations face. It was an intense experience as the meeting started on the Monday after the Friday bombings in Paris. We hope sanity and safety prevail. I learned a lot more about the complexity of the issue and there are no quick fixes (news). I've also appeared on several more national TV news shows as they need someone with technical knowledge. Who knew I was qualified to discuss Tom Brady's cell phone on Fox Business news? For the latest notifications, keep following us through our Facebook page, Blog, and Tweets. We are delighted to announce the release of Total Access Detective for Microsoft Access 2016 and 2013. Total Access Detective lets you quickly find differences between any two databases or two objects in your current database. Know exactly what changed at the table, field, property, control, macro line and VBA module code level. You can even compare tables for data differences. Existing Total Access Detective customers can upgrade for a discounted price. Total Access Analyzer is the most popular Microsoft Access add-in of all time! It examines every object in your database to document what's there, how it relates to other objects, and analyze how your entire database works. With detailed object, macro and VBA code analysis, Total Access Analyzer finds over 300 types of issues to help you avoid errors, identify unused objects and code, suggest design enhancements, improve performance, and recommend best practices. Almost 400 presentation quality, customizable reports are also available. For additional details, visit New Features in Total Access Analyzer 2016. Existing customers can upgrade at a discounted price. Total Access Speller helps you avoid typos on the screens your users see. Spell check labels, captions, validation text, status bar, navigation bar, and other properties to avoid embarrassing mistakes. It is now available for Microsoft Access 2016 (and earlier versions). A free trial is also available. When Microsoft released Microsoft Access 2016 in October, we quickly discovered a serious bug that affected backward compatibility. We wrote about it in this blog post: Microsoft Access 2016 and Invisible Picture Images. Images on forms, reports, buttons, etc. were missing. Some images appeared but others were blank. Our research revealed that this impacted the 32-bit version of Access (not the 64-bit) and was related to databases that had its Picture Property Storage Format set to Convert. 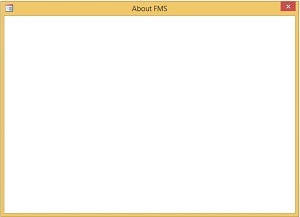 Databases that had that setting when the images were inserted into it, appeared blank in Access 2016. The only exception was form images in BMP format. If the image was GIF, JPG, PNG, etc., they appeared blank. We explained a way to bypass this bug and implemented in our add-in products that we shipped for Access 2016. We've updated our Microsoft Access version history page with updates including Access 2016. Let us know if there's more information you'd like us to add. A new management team is in place for Microsoft Access and they are actively seeking feedback from the user community on the future direction of Microsoft Access. They're using this User Voice site where you can review suggestions and vote for your preferences. Support for Features in Mobile Devices such as GPS, Camera, Photos, etc. Vote and join the discussions! 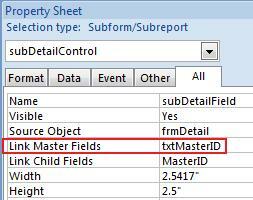 We've updated our Microsoft Access paper on Subforms Should Reference the Control Rather than Field Name for Link Master Fields. Make sure you're linking on the control name rather than field name if the value can change. The dangers of not setting this correctly are discussed in the article with a sample database showing the difference between a control versus field reference. It also discusses what happens if you reference a name that's both a control name and field in your form's RecordSource. The new Total Access Analyzer for Microsoft Access 2016 detects Link Master Field references to fields rather than controls, and offers it as a suggestion to correct. We've redesigned our web site to give it a more modern look with a new home page, animation, menus, and search. We hope you like it! Free eBooks from Microsoft Press on SQL Server, Windows Server, Visual Studio, etc.